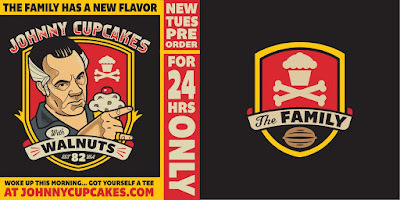 Johnny Cupcakes celebrates the 20th anniversary of America's favorite cake-eating crime family, The Sopranos. 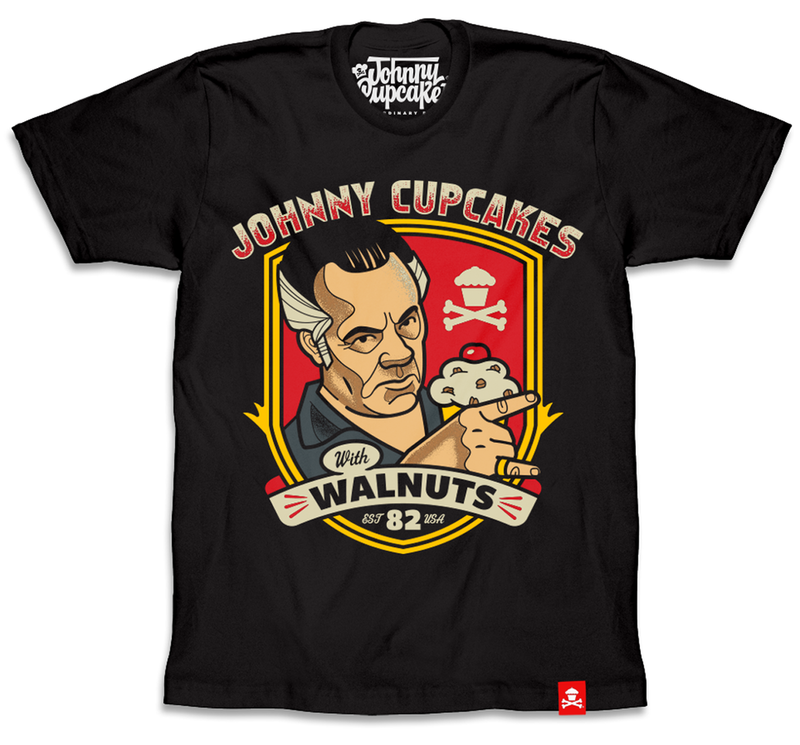 Check out this awesome “Johnny Walnuts” t-shirt, which pays homage to Tony Sirico’s beloved character Peter Paul Gualtieri aka Paulie Walnuts! What a fantastic tribute to one of Television’s most iconic shows. The Blot can’t wait for HBO to air the upcoming prequel movie. The Sopranos 20th Anniversary “Johnny Walnuts” T-Shirt is available now for pre-order at the Johnny Cupcakes online store for just 24 hours – and time is almost running out! This bake to order design comes on a black t-shirt, in sizes XS-3XL, and retails for $35.99.